Açai Palms (euterpe oleracea) - also known as assai. A tropical palm from the Amazon rainforest - currently "sold-out". See additional açai information. 2 year old trees - currently "sold out"
Araucaria Brasilensis - Araucaria Brasilensis is a rare pine tree from Brazil with cones full of 1.5 inch pine nuts! We have 12 year to 18 year old trees available now. 10 year old grafted (15 gallon) - $75. 5 year old (5 gallon) - $40. 12 year old (15 gallon - fruiting) - $110. Canary Island Date Palm (phoenix canariensis) - 7 year old & 10 year old palms are currently available. 3 year old trees (4 feet tall - 5 gallon) - $25. 6 year old trees (7 feet tall - 15 gallon - fruiting) - $60. 9 year old trees (10 feet tall - 15 gallon) - $95. 12 year old (25 gallon) - $145. 15 year old (25 gallon) - $245. 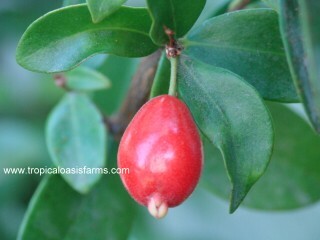 Cherry of the Rio Grande (eugenia aggregata) - this Brazilian ever-green fruit tree produces delicious cherry-like fruit. The Rio Grande Cherry (aka Cherry of the Rio Grande) is native to the cooler climate of Rio Grande do Sul in Southern Brazil. 4 year old (2 feet tall - 5 gallon) - $25. 6 year old (5 feet tall - 15 gallon) - $60. 9 year old (7 feet tall - 15 gallon) - $95. 6 year old trees (15 gallon) - $60. 9 year old trees (15 gallon) - $95. 12 year old trees (25 gallon) - $145. Coffee (coffea arabica) - currently "sold out"
Date Palms (phoenix dactylifera): date palm seedlings can make spectacular specimen date palms for landscaping. We have male and female date palms available for landscape use as well as for pollination, and we also have rooted off-shoots of named date palm varieties for date production (medjool, halawi, barhi, zahidi, etc). Please call 909 941 1060 to arrange your date palm purchase in Southern California. Barhi date palm rooted off-shoots are available right now! Call (909) 941 1060 to arrange your purchase in Southern California. Halawi Date Palms: mature producing halawi date palm rooted offshoots available with 2 feet to 4 feet of woody trunk (12-16 feet tall total height), call 909 941 1060 for pricing. Male Date Palms: male date palms for pollinating & for landscaping. Available in all sizes from 8 year old rooted off-shoots to mature male date palms with 10 feet of woody trunk (20 foot total height). Medjool Date Palm Trees: We have female medjool date palms in stock right now! Medjool date palms are sold based on the amount of woody trunk the palm has: recently removed young medjool date palm off-shoots usually have less than one foot of woody trunk. A 15 foot tall date palm has about 5 feet of woody trunk, and a 20 foot tall date palm has about 10 feet of woody trunk. Please call 909 941 1060 for mature female medjool date palm pricing and availability in Southern California. 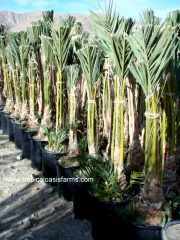 Medjool Date Palm Rooted Offshoots: We have over 1200 rooted medjool date palm offshoots in containers available for 2018. Our rooted offshoots of medjool date palms are available in a variety of different container sizes with rooted medjool palms ranging in size from young rooted medjool date palm off-shoots with less than one foot of trunk, on up to mature rooted medjool offshoots with 3 feet of trunk. 8 Year old medjool date palm rooted off-shoots in 15 gallon pots - $165 each. 10 Year old medjool date palm rooted off-shoots in 15 gallon pots - $225 each. 12 Year old medjool date palm rooted off-shoots in 15 gallon pots with over one foot of woody trunk are also available right now! In California, call (909) 941 1060 for details. For special volume pricing on larger quantities of female medjool date palm rooted offshoots, please call 909 941 1060. We also have older mature medjool date palm rooted off-shoots in larger containers (25 gallon pots and 36 inch boxes). If you want to grow several medjool date palms in your yard, then see one of our medjool date palm "landscaper" package deals below. Please call 909 941 1060 to arrange your purchase at one of our locations in Southern California. Dates - Fresh Medjool Dates: We pick our new crop of organically grown Medjool Dates in October each year. We begin taking phone orders for our next harvest of delicious fresh medjool dates on August 25, so mark your calender! 3 year old trees - $25. Fig (ficus carica) - we have three varieties in stock: "Black Mission", "Brown Turkey" and our delicious new variety "California Sweet"! Guanabana (annona muricata) - currently "sold out"
Guava - Tropical (psidium guajava): Guavas have 5 times the vitamin C of an orange. They are heavy producers of healthy delicious fruits! Our Brazilian pink guava trees & Brazilian white guava trees were grown from superior tasting fruit hand-selected in Minas Gerais, Brazil - they are not available from other nurseries. We have several very tasty and unique tropical guava varieties in stock! Call us at 909 941 1060 to schedule your guava tree purchase in California. 16 year old (25 gallon) - $245. 3 year old (4 feet tall - 5 gallon) - $25. 6 year old (7 feet tall - 15 gallon - fruiting) - $60. 16 year old trees (25 gallon) - $245. "Costa Rican Guava or Cas Guava (psidium friedrichsthalianum)": the uniquely flavored fruit is very acid and is used mainly in juices, jams, jellies and pie fillings. 9 year old (8 feet tall - 15 gallon) - $95. Pineapple guavas are a very tasty fruit, especially when picked fresh from your own tree! Simply slice in half and scoop out the delicious fruit. The flower petals of the pineapple guava also are edible and have a sweet cinnamon like flavor - try them in a salad! This unique guava originated in southern Brazil. 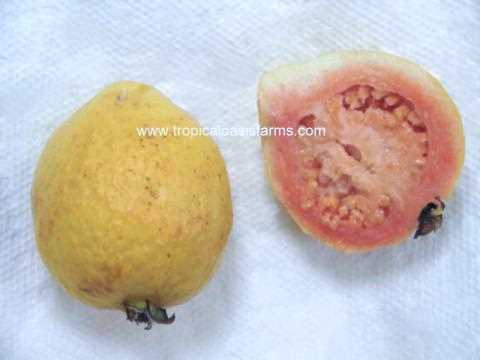 Once established, the pineapple guava is drought tolerant. 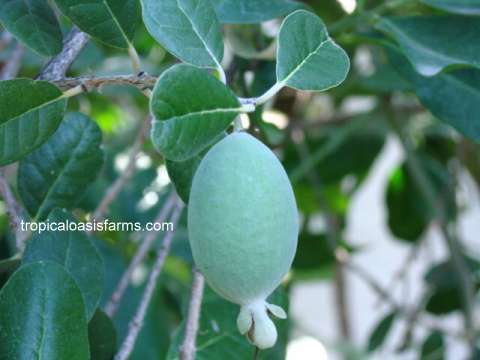 The pineapple guava grows well in California where it produces large crops. 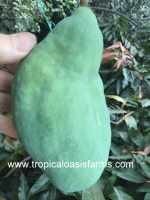 "Coolidge Grafted Pineapple Guava" 10 year old (25 gallon - fruiting) - $145. 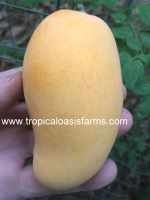 "Trask Grafted Pineapple Guava" 10 year old (25 gallon - fruiting) - $145. 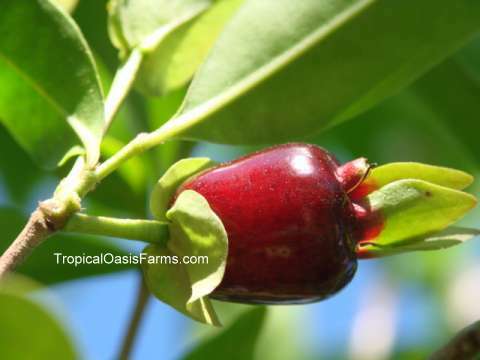 "Nazemetz Grafted Pineapple Guava" 10 year old (25 gallon - fruiting) - $145. "New Zealand" Pineapple Guava - large size delicious fruit! Visit us in September-October and taste the fruit on the tree you are buying! 3 year old trees (3 feet tall - 5 gallon) - $25. 3 year old trees (5 gallon) - $25. 9 year old trees (15 gallon) $95. 4 year old trees - $35. Jack Fruit Trees (artocarpus heterophyllus) - currently"sold out"
5 year old "Brazilian Sweet" - $45. 10 year old "Brazilian Sweet" - $110. 6 year old jelly palms - $45. 9 year old jelly palms - $95. 16 year old jelly palms - $245. 8 year old trees (15 gallon) - $85. 10 year old trees - $110. 10 year old grafted tree - $125. 4 year old plants - $35. 9 year old plants - $95. 7 year old "Champagne" - 15 gal - $75. 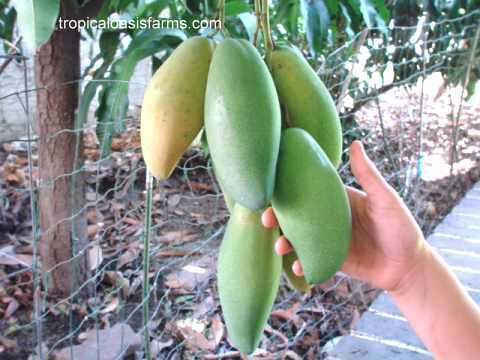 Lucuma (pouteria lucuma) - currently "sold out"
Mango (mangifera indica) Call us at 909 941 1060 to schedule your mango tree purchase in California. Haden Mango Graft (mono-embrionic) - currently "sold out"
Kent Mango Graft (mono-embrionic) - currently "sold out"
4 year old trees - 5 gallon - $30. 7 feet tall - 15 gallon - $75. 8 year old trees (15 gallon) - $95. Valencia Pride Graft (mono-embrionic) - currently "sold out"
Rosa (poly-embrionic variety from Brazil) - currently "sold out"
Espada Mango (poly-embrionic variety from Brazil): most popular mango in Brazil, moderate fiber, early season (good for California), makes fantastic mango juice! Marula (sclerocarya caffra) - currently "sold out"
Medjool Date Palm: female medjool date palm rooted offshoots in pots are in stock right now with special discounted pricing! Available in all sizes from rooted medjool date palm off-shoots with 1/2 foot of woody trunk to rooted medjool date palm off-shoots with 4 feet of woody trunk. Medjool date palm offshoots are sold based on the amount of woody trunk the palm has. A twelve foot tall date palm has about 2 feet of woody trunk, and a 20 foot tall date palm has about 9-10 feet of woody trunk. 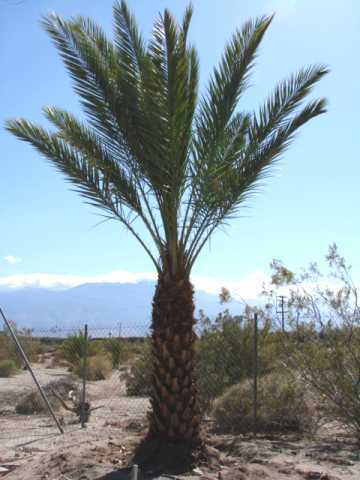 Please call 909 941 1060 for medjool date palm offshoot pricing and availability in Southern California. Mesquite Seed Pods: Mesquite Seed Pods (prosopis glandulosa): fresh mesquite seed pods are available in early summer - Organically grown in California. Medical studies of mesquite found that despite its sweetness, mesquite flour (made by grinding whole pods) "is extremely effective in controlling blood sugar levels" in people with diabetes. The sweetness of mesquite pods comes from natural fructose, which the body can process without insulin. Mesquite Seed Pods also make amazingly flavorful wood smoke in barbeques! Palm Trees for Landscaping: date palms make spectacular specimen palms for landscaping (medjool date palm shown at left). Passion Fruit (passiflora edulis) - currently "sold out"
15 gallon size - $75. Fuyu Graft 10 year old trees (10 feet tall - 25 gallon - fruiting) - $145. "Coolidge Grafted Pineapple Guava" 12 year old trees (fruiting) - $145. "Trask Grafted Pineapple Guava" 12 year old trees (fruiting) - $145. 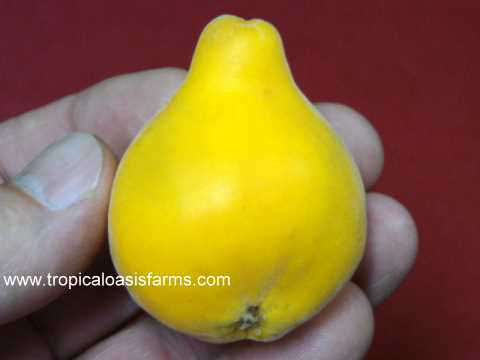 "Nazemetz Grafted Pineapple Guava" 12 year old (fruiting) - $145. 3 year old trees (3 feet tall - 5 gallon)- $25. 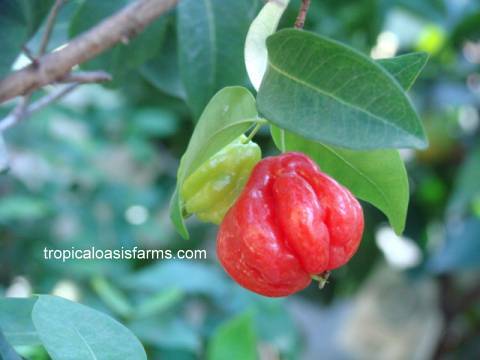 Pitanga (eugenia uniflora): Purple Pitangas and Red Chomba Pitangas in stock: Pitangas fruit twice per year! 3 year old Pitanga trees (4 feet tall - 5 gallon)- $25. 12 year old Pitanga trees (25 gallon) - $145. 16 year old Pitanga trees (25 gallon) - $245. Pitomba (eugenia luschnathiana) - currently "sold out"
4 year old trees - $25. 10 year old trees - $95. "Yucatan" 6 year old trees (15 gallon) - $60. "Yucatan" 8 year old trees (15 gallon) - $85. "Yucatan" 12 year old trees (25 gallon) - $145. Seeds NOTE: We cannot guarantee a specific rate of seed germination, but we do guarantee the seeds are in good condition when they are shipped. Seeds are shipped to USA destinations only. Send check or money order together with a list of the seeds & quantities you want, plus $3.85 for fully insured First Class Mail to Tropical Oasis Farms, PO Box 1011, Rancho Cucamonga, California 91729. Try our "Mail Order Special": order three seed packets and get a fourth seed packet free! Save on shipping by ordering up to 4 packets of seeds with a single $3.85 fully insured shipping charge. 3 year old trees (5 gallon)- $25. Sugar Apple (annona squamosa) - currently "sold out"
Surinam Cherry (eugenia uniflora): Purple Surinam Cherry and Red Chomba Surinam Cherry in stock - Surinam Cherry plants produce fruit twice per year! 3 year old Surinam Cherry trees (4 feet tall - 5 gallon)- $25. 12 year old Surinam Cherry trees (25 gallon) - $145. 16 year old Surinam Cherry trees (25 gallon) - $245. Washington Palms: a relatively fast growing and tall landscape palm. Native to the desert regions of Mexico. This palm is very hardy and can withstand several degrees below freezing. Mexican Fan Palm (Washingtonia Robusta) fast growing palm, up to 100 feet tall with slender trunk. California Fan Palm (Washingtonia Filifera) fast growing palm, up to 60 feet tall with barrel shaped trunk. Available in 6 foot tall to 15 foot tall sizes. Grafted trees - currently "sold out"
10 & 15 year old suebelle seedling trees available - heavy producers of delicious fruit! Sweet & tart fruit with agreeable flavor, also makes delicious juice. Fruits have a pungent smell when mature. 5 year old trees - $35. 9 year old (15 gallon - fruiting) - $95. Creosote: never needs watering once established! 5 gallon size - $25. Tree Ripened Fruit: Our tree ripened fruit program has been a huge success! At certain times of year, we can ship orders for organically grown fresh picked medjool dates, organically grown mesquite seed pods, and occasionally a selection of other rare and exotic fruits that were grown organically and allowed to fully ripen on the tree. Our Medjool dates are fresh picked each year in October, and we begin taking orders by phone at 909 941 1060 on August 25. SHIPPING: For small to medium size trees, we recommend that customers personally pick up their own trees and take them home in their vehicle. Local delivery of your selections to your driveway can usually be arranged for small orders (only in Southern California, minimum purchase $150) with a delivery cost from $25 to $150 depending on the round-trip mileage (150 mile maximum round-trip travel distance). Transport for large trees/palms can also be arranged. We do not offer "mail order" shipping for plants & trees. SEEDS: We do offer organically grown SEEDS year round: medjool date seeds and organically grown in California mesquite seed pods. We pick our organically grown MEDJOOL DATES in October each year. We begin taking orders for our fresh picked medjool dates on August 25, so mark your calender!